Coconut oil and plumbing | Robins Plumbing, Inc.
Coconut oil is all the rave right now. You can’t scroll through Facebook without seeing an article luring you to check into the health benefits of coconut oil. 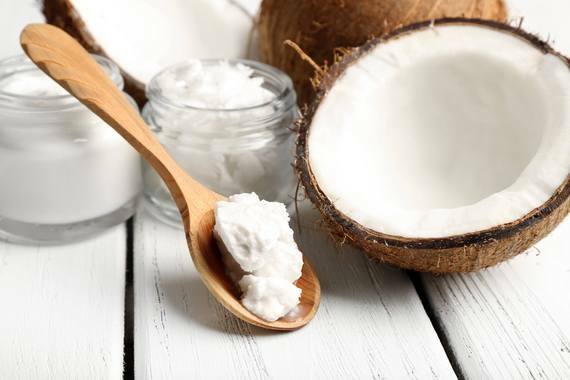 Coconut oil isn’t just for the kitchen anymore, we are seeing it used more and more in bathrooms as a replacement for toothpaste, hair conditioner and lotion. What these articles fail to mention is the proper disposal of coconut oil after it has been used. Oil is oil, and coconut oil is no exception. Oil does not belong down your drain line, no matter how healthy it is. Coconut oil has a low melting point and many clients don’t consider the ramifications of sending coconut oil down the drain because it is in a liquid state. Coconut oil also cools quickly, and it doesn’t take long before it is a few feet down your drain line slowly coating the sides of your pipe. Over time, this inevitably leads to a grease stoppage. Grease stoppages cannot be cleared with just a drain machine, the inside lining of your pipe has to be washed with high pressured water from a jetter. Just like when you pull a knife from a jar of peanut butter, the peanut butter eventually closes and you can never tell the knife was there, this is the same way it works with grease build up in your sewer line. Take care to dispose of coconut oil properly and avoid putting it down your drain lines. We encourage our clients to keep a bucket of some kind in their bathrooms for proper disposal of used coconut oil. Some clients prefer something disposable like old coffee cans.